MEI and Grattan Institute's recent Energy Futures seminar explored what policies and market structures we need in Australia's transforming energy system. Held at The University of Melbourne on 24th September, the seminar provided a forum to discuss how policies can balance energy prices, reliability and emissions. 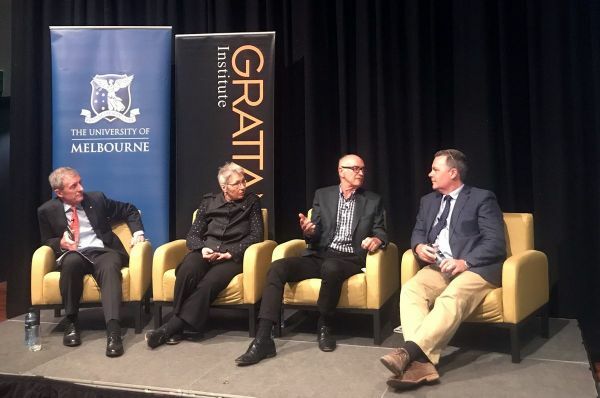 Panelists included Chloe Munro, Professorial Fellow at Monash University, Ross Garnaut, Professorial Research Fellow in Economics at the University of Melbourne, and Michael Brear, Director at MEI. The seminar was opened by Robyn Eckersley, Professor and Head of Political Science at the University of Melbourne, and moderated by Tony Wood, Energy Program Director at Grattan Institute.